Ever looking for somewhere to go and, see Black historical artifacts. Somewhere that’s hip and cool, laid back all in the same place? 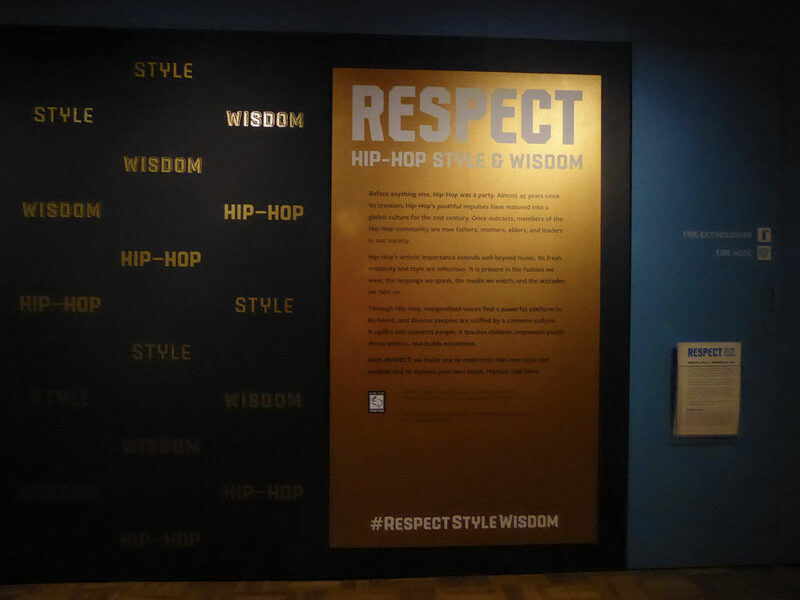 Visit the Oakland Museum’s “Respect: Hip Hop Style and Wisdom” and you walk into a world of some Oakland Old G’s sounds bumping from the speakers. Like Too Short and MC Hammer on the screen explaining their love for Oakland and music. They have keyboards and beat machines to show how it all started! As you walk through the exhibit, you see paintings and Oakland murals of Black creators. As you continue through, there’s a station where you can put on headphones. There you can choose between some of Oakland’s first hip hop tracks. You can spend hours there getting into the groove and reminiscing about the the first time you heard these bomb beats. Further on in the museum, you find videos of Oakland artists talking about their work, why they love Oakland and why they want to display their work here. There is a car in the middle of the floor created by a low rider from back in the day. And if you’re a real Oakland native, you know Oakland is known for its sideshows. The museum also has some artifacts like actual clothing from these famous Oakland artists as well as other legends. It is definitely something to take the family down to look at. It presents so much history and a lot of Oakland soul. You can get your fix on music and get informed all in one place. It is called RESPECT: Hip-Hop Style & Wisdom. It lives up to its name, because there is definitely a lot of style and grace in that place! Check it out – it will be open to August 12, 2018 at the Oakland Museum. Don’t forget – KeKe sent you! My name is Kevonna Taylor, and I’m journalist major! News and celebrities' updates are what I enjoy analyzing the most. I took two years of journalism in high school, and I am a graduate of class 2017. Now I am in college, majoring in journalism. My dream is to work hard, change lives and make a difference, not only for myself, but for my family, and my community.